Any Size, Any Age, Any Breed! Brad Cranston has resided in various parts of the Northeast over the years. Visiting Connecticut often times when he was young, he decided to move here after finishing up his Business Management degree at the State University of Potsdam. Throughout his entire childhood, and even into his adult years, Brad has always had a K9 companion. Growing up, his family adored their lab mix, Cleo. She was part of Brad’s life for the first 8 years, and he can’t recall a memory that she didn’t play an important role in. After the loss of their beloved Cleo, they welcomed another family member, Yankee, a rat terrier. Not soon after bringing him home, Brad was able to teach Yankee tricks, like how to twirl, sit, lie down, and even roll over! Experiencing the bond with his own dogs, Brad knew his love and passion for these animals was something worth pursuing. 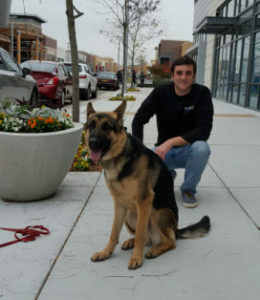 As he finished up school, Brad began searching for different opportunities that would allow him to both use his business degree, and work with dogs. In his research, he stumbled across Off Leash K9 Training. When he noticed the level of expertise a trainer could reach with this company, Brad felt as if he had truly found his ‘dream job’. Coming out of college, he was determined to find a career he loved, not just liked, and he was certainly able to do that by joining Off Leash K9 Training. There is nothing he loves more than bonding with a dog, guiding them through the transformation of abandoning their old habits and learning new obedient manners, and finally sending them home to their loving family. Thankful to have found a rewarding job that he loves, Brad cant wait to develop his skills further and begin protection work! Each trainer is taught how to carry out the same techniques that are used to train military and law enforcement K9’s. This system is proven to work on dogs of all ages, sizes and breeds! Needless to say, this was the perfect opportunity for Brad. After working closely under owner, Nick White, and his team, Brad is now able to pursue a passion he has longed to do. Not only is the training designed to teach your K9 100% obedience, but they are guaranteed to demonstrate this behavior around 100% distractions, 100% off-leash! Brad Cranston is thrilled to bring the nationally recognized obedience training system that is Off-Leash K9 Training to Connecticut! 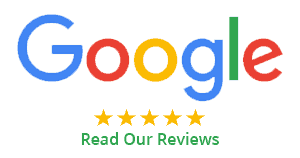 See some of their video testimonials right here! See for yourself why we are listed as Wikipedia’s Top 20 Most Notable Trainers in The World, official trainer consultant for ABC’s “The Pet Show with Dr. Katy Nelson,” and widely regarded as one of the top dog training businesses in the country! Whether you are looking for behavioral modification, therapy dog certification, amazing obedience, service dog training and certification, or nosework, we have you covered! See our over 900+ before/after videos on YouTube, as well!